Pay only P 6,249 a Month for 12 months. Or pay only P 12,499 a Month for 6 months. 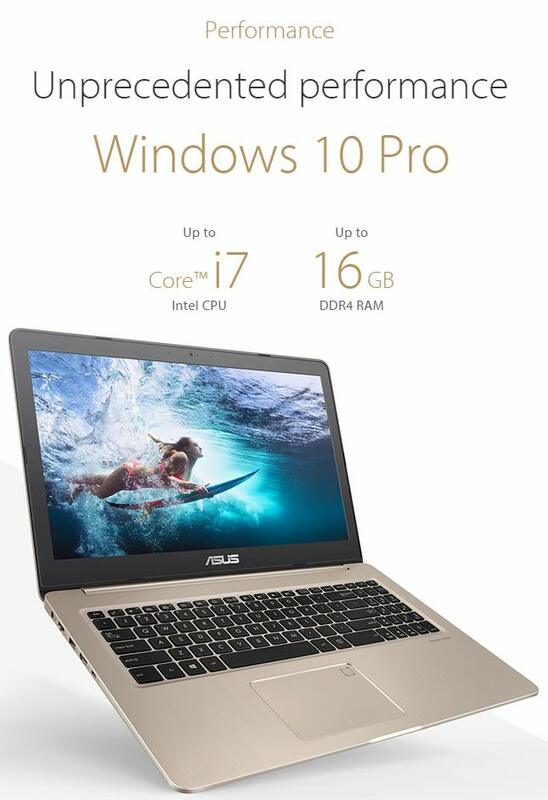 The ASUS VivoBook Pro 15 is a slim and lightweight high-performance laptop that’s powered by a 7th Generation Intel® Core™ processor. It features a 4K UHD display with 100% sRGB color gamut, high-quality NVIDIA® GeForce® GTX 1050M gaming-grade graphics, audio co-developed by Harman Kardon, and the latest cooling and fast-charge technologies. 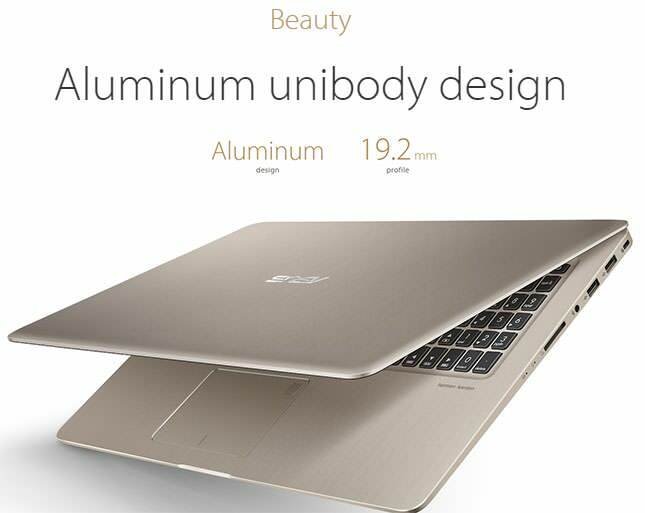 Each VivoBook Pro 15 is milled from high-strength aluminum that undergoes a series of intricate manufacturing processes to achieve its sleek and elegant final form. With a 19.2mm profile and an overall weight of 2.2kg, the VivoBook Pro 15 is the thinnest and lightest model offered in the VivoBook Pro series. At the heart of the VivoBook Pro 15 is the incredibly powerful 7th Generation Intel Core i7-7700HQ processor for superior performance. With 16GB DDR4 RAM — 33% faster than DDR3 — the VivoBook Pro 15 delivers processing power for effortless multitasking. When equipped with an optional high-performance SSD, the VivoBook Pro 15 offers class-leading data access speeds. For ultra-fast connectivity, VivoBook Pro 15 features dual band 802.11ac Wi-Fi for speeds that are 6x faster than 802.11n! 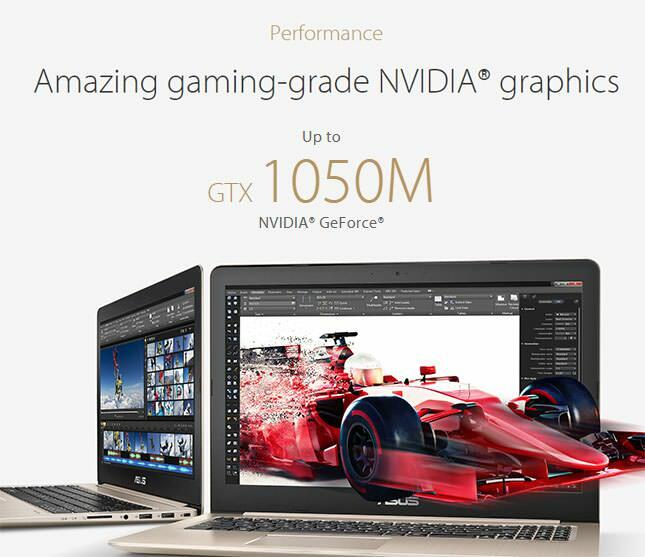 With up to NVIDIA® GeForce® GTX 1050M gaming-grade graphics, the VivoBook Pro 15 delivers flawless visuals — perfect for gaming, watching movies, or editing 4K UHD videos. It has the power to tackle even the most graphics-intensive tasks with ease. 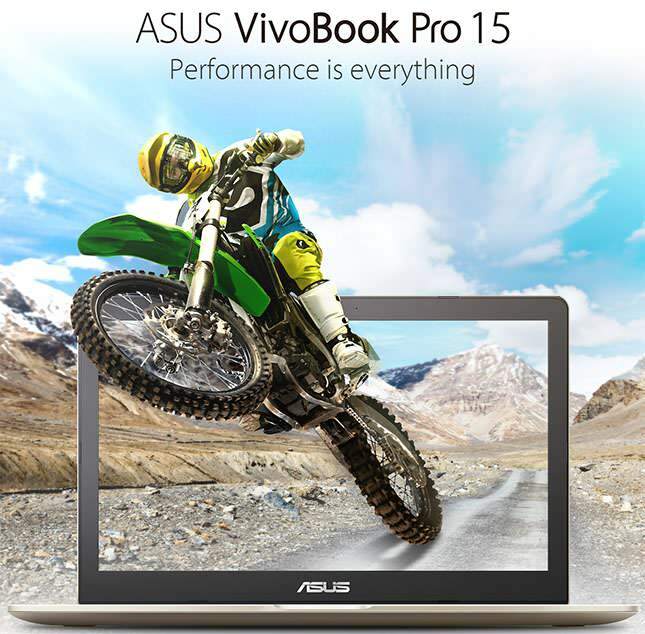 The VivoBook Pro 15 combines optimized hardware and software to provide best-in-class visuals. 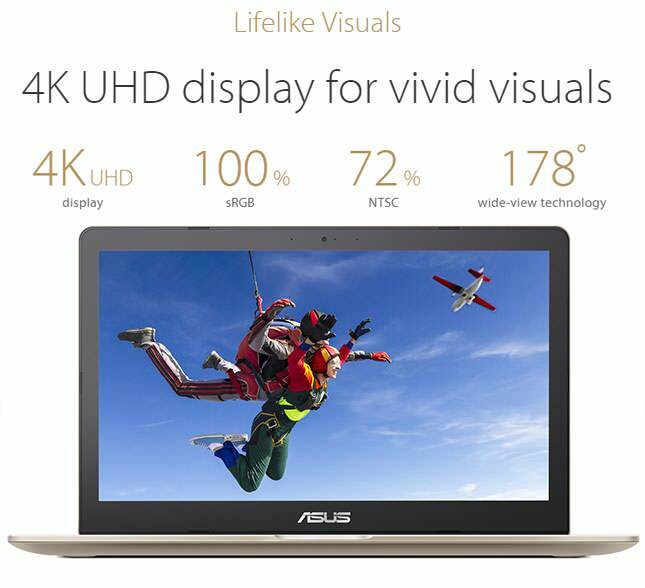 A 4K UHD panel with wide-view technology, 72% NTSC and 100% sRGB color gamut, and ASUS Splendid display technology provide richer, deeper and more accurate colors — for any type of content. 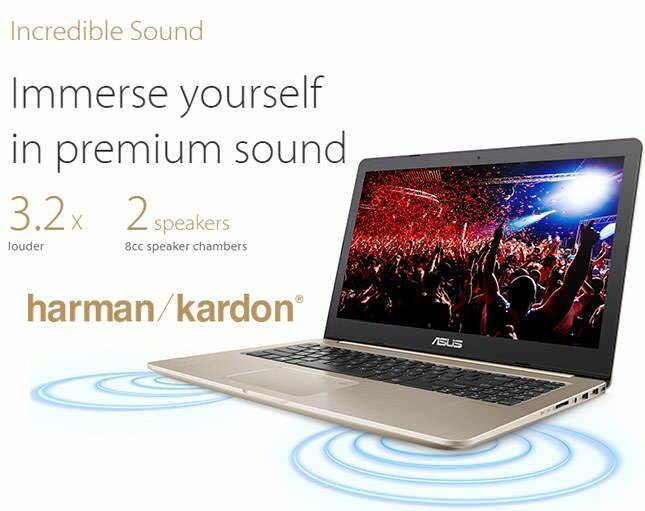 The VivoBook Pro 15 delivers amazing audio co-developed by Harman Kardon. Powerful speakers with 8cc chambers and Smart amplifier technology help maximize volume while maintaining crystal-clear sound. 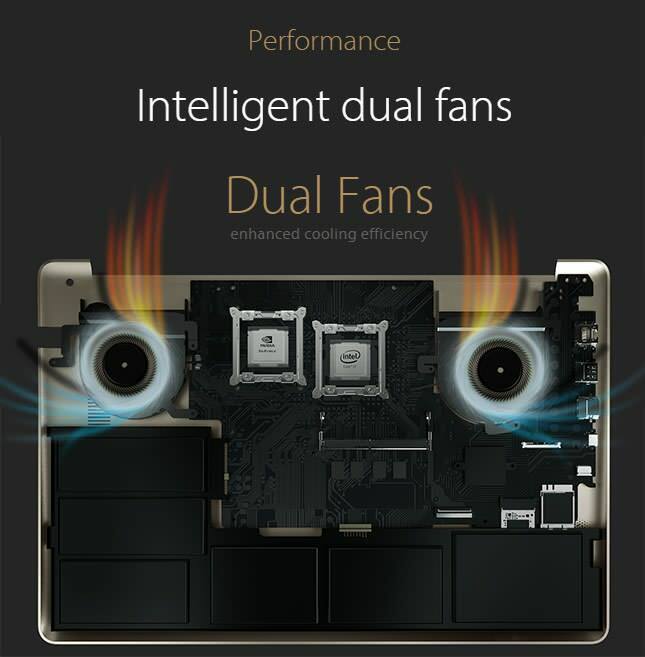 Dual-coil, front-mounted stereo speakers deliver the loudest, clearest audio possible from a thin and lightweight device. The result is a sound system that’s up to 320% louder than similar devices, with a wider frequency range to ensure rich bass and treble. 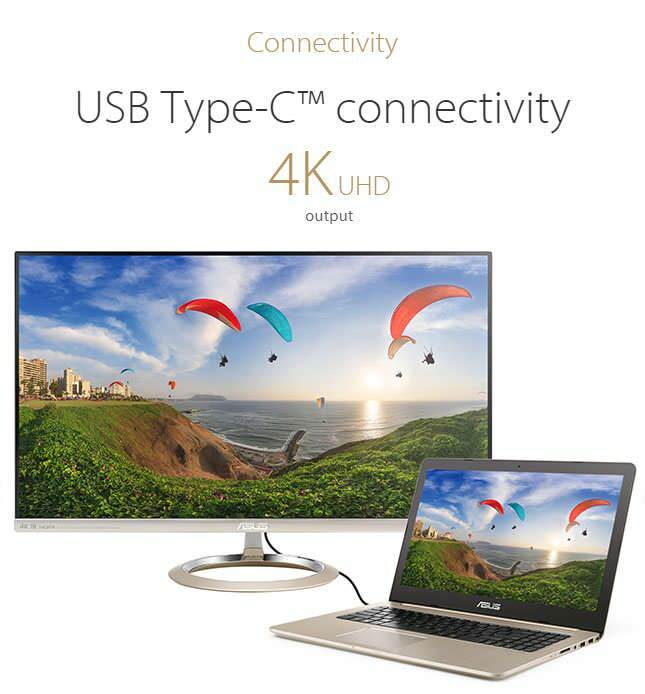 The VivoBook Pro 15 includes a USB 3.1 Gen 1 port with a USB Type-C™ connector that supports data transfer speeds of up to 5Gbps and 4K UHD output for external displays. The reversible USB Type-C™ connector design makes connecting any device effortless and quick.